Collating the knowledge from over 20,000 publications in chemistry, biology and nanotechnology, this handbook is the first to comprehensively present the state of the art in one ready reference. 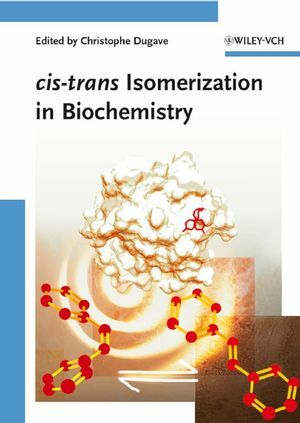 A team of international authors connects the various disciplines involved, covering cis-trans isomerization of double bonds and pseudo-double bonds, as well as other cis-trans isomerizations. For biochemists, organic chemists, physicochemists, photochemists, polymer and medicinal chemists. Christophe Dugave prepared his PhD in molecular pharmacology under the guidance of Professor Marquet and Professor Gaudry. Then he moved to the University of Sherbrooke (Canada) where he worked as a post-doctoral fellow under the supervision of Professor Deslongchamps. He is currently working at the Department of Protein Engineering and Research of the French Atomic Energy Commission at CEA/Saclay near Paris. His research interests include the synthesis of nonnatural amino acids, pseudopeptides, peptidomimetics, and radiolabeling of peptides and proteins with tritium technetium and other radioisotopes.